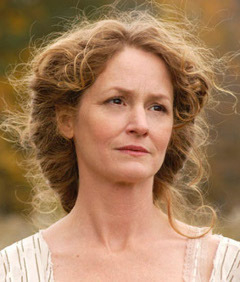 Melissa Leo played the tough-as-nails Sgt. Kay Howard on Homicide: Life on the Street, a character was originally written as a man. Before Homicide, she appeared on the soap All My Children, and the prime time western The Young Riders with Anthony Zerbe. In the 1992 film Immaculate Conception, she played the Senator's daughter who fell under the spell of Pakistani eunuchs. During Homicide's run, she appeared in the mini-series Scarlett, a sequel to Gone with the Wind, playing Scarlett O'Hara's bitchier kid sister. Since leaving Homicide, she has appeared in numerous films, but most have been small-scale efforts that have won her little attention, including three films by Henry Jaglom, who makes low budget films that earn rave reviews and minimal box office. In Leo's better-known recent films, she earned terrific reviews as Benicio Del Toro's wife in 21 Grams, and played the grieving next-door neighbor in Hide and Seek with Dakota Fanning and Robert De Niro. Leo had a son in 1987 with then-boyfriend John Heard, who promptly sued her for custody of the child, lost in court, and was eventually arrested for stalking Leo.